Water is the most crucial element for staying alive. It's more important than food. Everyone must have enough safe drinking water, which generally means one gallon per person per day. Needs will differ according to age, physical condition, lifestyle and climate. This doesn't include water for cooking, bathing, washing dishes and clothes, and pets or other animals. Large dogs may need as much as a gallon a day, while cats can do well with just a pint a day. If you have other livestock your water needs obviously soar. But in that case, water taken directly from a river or stream, without purification, will probably be okay. Untreated water straight from the tap should keep for six months when stored in clean, durable containers. However, it must be changed periodically. Bacteria-free water, which means treatment with bleach or other compounds, will keep up to several years. Heat, light, deterioration of the container and other factors can cut this figure substantially. Water should be stored as far as possible from paint and petroleum-based products, acids or anything with strong odors such as fertilizer or common household cleaning solutions. Lower-grade containers are permeable to certain gases and should be avoided whenever possible. You'll need to locate at least one other water source, since even several hundred gallons of stored water won't last long. Assume any water not stored or purchased is contaminated, especially in perilous or unstable times. A mountain stream could look pristine, but still be polluted. If you can find only marginal water, first strain the debris through a paper towel, clean cloth or coffee filter, then use one of the following methods. Use 5.25 percent sodium hypochlorite that is free of soap or phosphates. To treat one gallon of water, add eight drops (1/8 teaspoon) of bleach to clear water and 16 drops (1/4 teaspoon) to cloudy water. When purifying five gallons, add 32 drops (1/2 teaspoon) to clear water or 64 drops (one teaspoon) to cloudy water. By purifying a larger quantity of water, you will cut bleach usage 20 percent over the one gallon at a time method. After treating with chlorine, mix well and allow the water to stand for 30 minutes before using. An eye dropper can be used to measure the dosage. Bleach that is more than a year old loses approximately half its potency. Adjust the dosage accordingly. Also known as calcium hypochlorite, it is used primarily in swimming pools. Since it is a powder, it has the significant benefit of extended shelf life. Dry chlorine may be stored for up to 10 years with minimal degradation if it is kept dry, cool and in an airtight container. This is a far better choice for quantity storage than liquid bleach. Dry chlorine is commonly available at swimming pool supply stores as well as many hardware and grocery stores. For chlorinating water in rain tanks, the recommended dosage is seven grams dry (1/4 ounce by weight) or 40 milliliters (1.35 ounce) per 1000 liters (264 gallons). Let the water stand for 24 hours before drinking. To maintain chlorination, add one gram (.035 ounce) of dry chlorine or 4 ml (.135 ounce) weekly per 1,000 liters. If no instructions are provided on the bottle, use 12 drops per gallon of water. Increase the dosage if the water is of dubious quality. Mix well and allow the water to stand for 30 minutes before using. Iodine does have an unpleasant aftertaste. This is a suitable disinfectant, as it oxidizes the water. Peroxide degrades even more rapidly than chlorine, and it needs to be kept in a dark bottle that blocks out sunlight. Potency could be an issue if it has been stored for a long period. Testing for peroxide residual levels is more difficult than testing for chlorine content. Residuals need to be measured to ensure that disinfection is thorough. The bacteria content of your water source is a major factor to monitor. There are various methods for testing the bacteriological level, but measuring residual levels is a much simpler task. "Residual" is what remains from the original dosage. For example, if one cup of water has 20 parts per million of impurities in it, the disinfectant dosage needs to be at least 20 PPM but no more than 25 PPM to prevent ill effects. A dosage of 23 PPM of the active chlorine content will have a 3 PPM free residual while showing a 23 PPM total chlorine level. Peroxide would potentially have the benefit of breaking down to oxygen and water, but its use is also made more difficult by that tendency. A common calculation for daily usage is the required dosage in parts per million times the volume treated in gallons divided by 120,000, which is a constant number. This will give you the number of pounds needed for a particular dosage. They are either iodine or chlorine based. One or two tablets will purify a quart of water depending on the contamination level and length of time allowed for treated water to stand. Follow instructions on the package. These tablets are among the more convenient and affordable ways to purify water. Not every brand of purification products (especially iodine tablets) will kill giardia. People who have used this method generally prefer it to chlorine or iodine. Both treatments have shown some side effects if used for an extended period of time, and iodine and chlorine give water an off taste. Stabilized oxygen doesn't have side effects or add unpleasant flavors to water, and it also offers health benefits. For long-term storage, treat one gallon of chlorinated water by adding 10 drops of stabilized oxygen. Add 20 drops if the water hasn't been chlorinated. Use five to 20 drops per eight-ounce cup of giardia-contaminated water. Stabilized oxygen is the new kid on the block in water purification, so it isn't as widely known as other methods. Among the chlorine dioxide (a form of stabilized oxygen) products on the market are Aerox, Genesis 1000, Dynamo 2, Aerobic 07 and Aquagen. There are literally dozens of units on the market. Some are designed for campers, while others are made to be installed on household plumbing. If you plan to rely heavily on a water filter for purification during a crisis, choosing the right one will be a vital decision. Durability, dependability and a company's track record are important factors to consider. "Test drive" the unit to see how easy or strenuous it is to pump. Ease of use should be a high priority for anyone with limited strength or physical ailments. 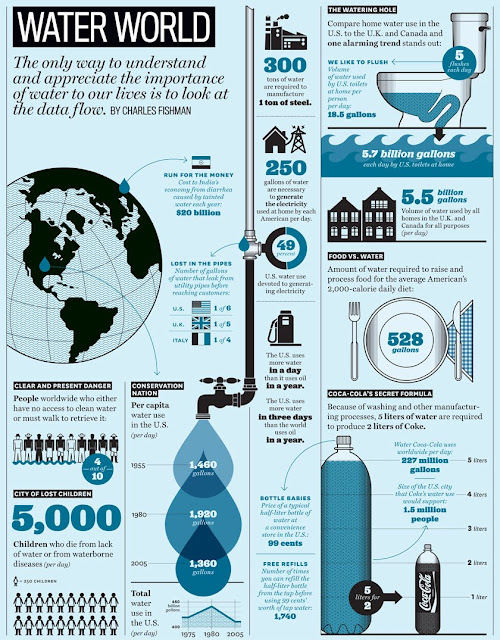 What is the average water output? This is especially important for families or groups. Will this filter eliminate giardia and bacteria? Don't assume that the filter you choose will be 100 percent effective. Can the filter handle the really nasty stuff - stagnant, muddy, even brackish water? Are replacement elements and parts easy to locate? How often does the filter have to be replaced? Sporting goods and camping stores as well as a number of discount stores and mail-order firms offer water filters. One model to consider is the Swiss-made Katadyn. Although it isn't cheap, the Katadyn is popular with serious outdoorsmen, Third World travelers and others who frequently deal with polluted water. To improve the taste of treated and stored water, pour the liquid from one clean container to another several times. This will help re-oxygenate the water and remove some of the "blah" effect that comes with long-term storage.